Are your WPS Training Materials Compliant with the 2015 Revised Worker Protection Standard? If it looks like a duck, and walks like a duck, it is a duck. Right? Not with some pesticides. 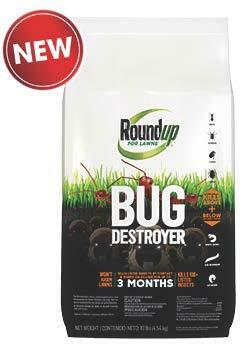 The RoundUp trade name was brought to the market in 1974 and for years this name was synonymous with glyphosate. As the years have gone on, the trade name has remained the same, but the ingredients have shifted to allow for more control of weeds and now INSECTS! Yes, you read that correctly, insects. A new RoundUp product has hit the market that is a long-lasting lawn insecticide. The truth of the matter is that RoundUp isn't the only one that has done this. PREEN and even Scott's Turf Builder have done similarly with their products–using the long-time trade name and changing the ingredients to match a lawn care/gardener's need for herbicide, fertilizer, and insecticides. Stores don't make this easy for consumers as they tend to display products from the same company together. Pricing is also different on the wide range of products, and even though we tend to lean toward a cheaper product, it might be the wrong ingredient. It is important to take the time to read the front of the label closely so that you know that you are purchasing the product you need. Remember to store this pesticide as directed but take a marker to circle the active ingredient so that it is a reminder for the following season. RoundUp, Preen, and Turf Builder are all just product trade names and are unfortunately no longer a clear indicator of what is inside the container. Be sure to read the label before you apply. Monarch butterflies were named the Illinois State Insect in 1975. They are one of the few insects that migrate with the seasons making their way from Mexico to Canada each spring and back again in the fall. A female can lay up to 700 eggs and produce up to four generations in the summer. According to the National Fish and Wildlife Foundation, over the past 20 years, the monarch population has fallen by over 80%, due mostly to loss of critical breeding habitat. To combat this problem, Illinois is collaborating with organizations, agencies, and industry to work on the Illinois Monarch Project. This project began in March of 2018 and the parties are developing an action plan to help preserve the monarch butterfly by creating educational resources, issuing best management practices for mowing, restoring habitat, and establishing new habitat. Illinois sits in line with a major migration path for monarch butterflies and is central to the monarchs' summer breeding area. In August, the fall migration begins. The last generation of monarch adults are considered the "Super Generation". Generations that are born during the summer complete their life cycle in a short 4-6 weeks. The last generation is the one that will migrate south to Mexico and live up to 8 months. This is a journey of over 3,000 miles. Milkweed is an herbaceous perennial that is not considered invasive but can grow very rapidly. Monarchs are attracted to milkweed plants for a couple of reasons. One reason is that it is a great food source for their larvae. The other reason they love milkweed is that a monarch caterpillar ingests the plant toxins, which are called cardiac glycosides. The toxins then build into the body of the insect causing the insect to be toxic to potential predators. The insect is already colored as a warning to predators that it is not safe to eat, but if the color doesn't work, the bad taste will. Predators will learn over time that monarch butterflies and caterpillars are toxic and therefore will avoid them. This helps to preserve the Monarch species even though some milkweeds do not produce the toxin or produce only low doses of it. What can you do to help? Plant milkweed! There are 24 different species of milkweed plants in Illinois. The following five are the easiest to obtain in plant nurseries or native plant sales, according the Illinois Department of Natural Resources. • common milkweed (Asclepias syriaca). It grows best in well-drained soil. • swamp milkweed (Asclepias incarnata). This species prefers soil that is damp most of the time. • butterfly weed (Asclepias tuberosa). Butterfly weed grows best in well-drained soil. • horsetail milkweed (Asclepias verticillata). This species is suited for open areas with sunshine all day. • poke milkweed (Asclepias exaltata). Poke milkweed grows in woodlands and shady spaces. There are many national efforts to help in the preservation of the monarchs. The Illinois Monarch project, once it establishes an action plan, will provide education, best management practices, and resources that will help to improve, restore, and create pollinator habitat in Illinois. 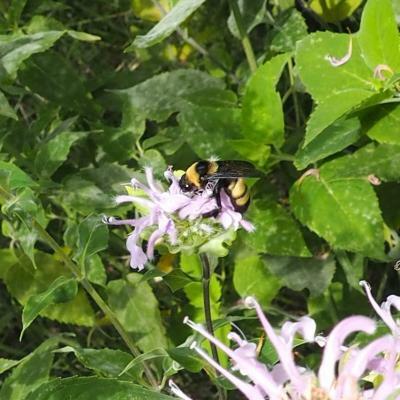 The EPA is offering a free webinar titled "Integrated Pest Management: Strategies for Pollinator Habitat Promotion and Conservation in Agricultural Areas" on August 28, 2018, from 12 –1:30 pm CDT. This webinar is tailored for growers, pesticide applicators, agricultural land managers, and other interested stakeholders who work in crop production. The presenter will be Dr. Allan Felsot, professor and extension specialist from Washington State University and EPA subject matter expert. Dr. Felsot's research has focused on pesticide technologies, pesticide residues, environmental toxicology, and risk assessment. He regularly speaks about the changes in pesticide technologies over the decades and developing good IPM strategies. This presentation will cover land management topics such as cultural management practices, bio-economics, and integrated insect and weed management. Registration is now open on the EPA's website. This article includes the original announcement by EPA, lightly edited by Sarah Hughson. The number one goal as an applicator is to deliver pesticide to the intended target at the right time and eliminate the pest. An applicator's responsibility is always to avoid damaging non-target species, but this becomes even more critical when we are looking at endangered or threatened species. A threatened species is a plant or animal that is likely to become endangered. An endangered species is one that is in jeopardy of becoming extinct. Many applicators are still not aware of the new Illinois Natural Resources Awareness tool that is available for them. This tool was launched in March 2018 to identify areas in Illinois that have threatened and endangered species, as well as nature preserves, natural area inventory sites, and IDNR owned and management properties. It can be found at https://www.dnr.illinois.gov/conservation/Pages/Chemical-Drift-Awareness-Areas.aspx. The Natural Resources Awareness tool also has a link to FieldWatch/DriftWatch and BeeCheck to show other pesticide-sensitive areas via a mapping tool. This link can also be used to get to all three sites: http://www.fieldwatch.com/. These sites have helped increase communication between applicators and producers of specialty crops for the past decade. As an applicator, it is your responsibility to be aware of sensitive areas as a spray application may change when in proximity to these sites. When an EPA Endangered Species Protection Statement appears on a label, check to see if an EPA Endangered Species Protection Bulletin exists for the area the pesticide will be used in. Call the telephone number or visit the website provided. The bulletin is part of pesticide labeling and by law needs to be followed. Keep in mind that bulletins are time sensitive. Learn more at https://www.epa.gov/endangered-species/bulletins-live-two-view-bulletins. The Bulletins Live! website has an interactive map that identifies sensitive areas based on endangered species that are on the federal list. In the end, the tools are there for applicators to do their part in assuring that pesticides are not applied that could harm plants and animals that are at risk of extinction or sensitive to pesticides in specific areas in Illinois. If you should have any questions about this site or others, feel free to contact the Illinois Pesticide Safety Education Program. I have been asked in the past if there is a list of pesticides that require a license. Although lists of pesticides exist in one form or another online and in recommendation guides, there is no specific list of pesticides in which the application of such would require a person to be licensed. One exception, however, could be for fumigants; those all require certification. Another exception could be for RUPs (Restricted Use Pesticides). A license is required to apply any RUP. Another related question I get is who needs to have a license and why don't homeowners need to be licensed? For those applying pesticides to their own land, the only time a license is required is for RUPs. For commercial applications (meaning that the land is not owned by the individual making the application), a license is required for ALL pesticides, even general-use pesticides like Roundup. For example, you can spray Roundup license-free if you are treating your own property, but, if you apply Roundup as part of your employment, a license is then needed. When applying pesticides commercially, each business will need at least one applicator. Persons working under the applicator's direct supervision to use pesticides must also be licensed – even when applying general-use pesticides. Confusion lies with the fact that homeowners can apply these GUP products without being licensed. Again, when you are applying these products on land you do not own, you are required to have a pesticide license. This of course is to demonstrate to the public that you are knowledgeable concerning the safe and proper use of pesticides. Additionally, if a product makes pesticidal claims, it needs to be registered with the EPA and it will have a registration number on the label. Remember that pesticides include not only those that kill or suppress living organisms but also repellents, attractants, and those which affect growth such as growth regulators/hormones. Some have been fooled into thinking that a license is not required for a commercial application of, say, rooting compounds because nothing is being killed. These products are still chemicals and technically (legally) they are pesticides. For safety reasons, it is in our best interest that the use of these chemicals be regulated. On June 22, 2018, the Environmental Protection Agency (EPA) officially announced the availability of training materials covering the expanded content required by the Worker Protection Standard for Agricultural Pesticides (WPS). The announcement in the Federal Register triggered a requirement that training programs must include all of the topics specified in the 2015 revisions to the WPS by December 19, 2018. On that date, the training content requirements for agricultural workers will expand from 11 items to 23 items, and content requirements for pesticide handlers will expand form 13 items to 36. Trainers can use any WPS training materials as long as they meet the new content requirement and are EPA-approved. Approved trainings will have an EPA-approval number similar to the following: EPA approval W/H PST 00001. Be sure to select training materials that indicate they can be used in "2018 and beyond". Also, select materials that meet the training requirements for the employee; i.e. worker training, handler training, or training for trainers. Illinois PSEP currently recommends that trainers utilize the numerous training materials published on the Pesticide Educational Resources Collaborative (PERC) website: http://pesticideresources.org. The Pesticide Educational Resources Collaborative is a cooperative agreement between the U.S. EPA's Office of Pesticide Programs and University of California Davis Extension, in collaboration with Oregon State University. The website offers free access to training presentations, videos, and other compliance resources.